I just moved to Tucson, AZ, but I can still help remotely and over the phone with 90% of my services if you are not in Tucson. 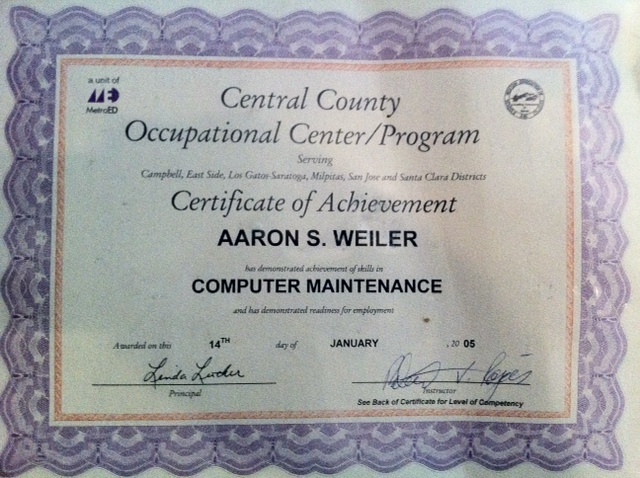 This is Aaron's Achievement Award for servicing 50 computers at his tecnical training school. Some example services and prices are below. For a extended list of what I can do, click the button below. Note that the prices are the average cost and are negotiable (such as flat fee or hourly options). For jobs that take longer or require more than the normal parts or time, it will increase the cost. Desktop / Laptop Computers: I am extremely experienced with all types of computers; Be they running on Mac, Windows / PC, Google, Linux / Unix or whatever. Networks: Server-based (Windows Server 98/2003/2008 & Linux), peer-to-peer LAN, WAN, VPN, messaging, terminal services, remote access, firewall, broadband, wireless, and much much more. Peripherals: Upgrades, Memory, Hard Drives, Video, Multimedia, BlueRay, DVD/CD-RW, Multimedia, Uninterrupted PoIr Supplies, Cable & DSL Modems, Guaranteed Satisfaction Back-Up Solutions, and more. Internet: Web design and maintenance, Internet implementation, Broadband Setup, & more. Consulting: I provide professional guidance to you for new computer purchases or network configurations. I also provide on-site professional support to your staff for everyday computer and network issues. Teaching: I offer teaching you just about anything in the way you want to be taught! From how to repair your computer on your own, to how to modify a XBox, to how to use Microsoft Word, and much more. All for as little as $20 a hour! On-site Repair, Tune Ups, Virus Removal, Teaching, and much more. Remote Tune Ups, Virus Removal, Teaching, and much more. Help with buying new computer parts & software (even help finding the cheapest place to get them from). The best and most bang for your buck maintenance, repair, support, consulting & tutoring plans. Just ask, I most likely can do it for you. Even if it does not have to do with electronics. I Can Help You From Anywhere In The World; Even At Your Home! Call Or Text 831-428-6310 For Immediate Support! Voicemails are returned within an hour! Have you ever had a computer act very slow, or get a virus while you are not in the Santa Cruz area, or even if you are in the area and don't want a stranger to come to your home but still need the computer fixed? 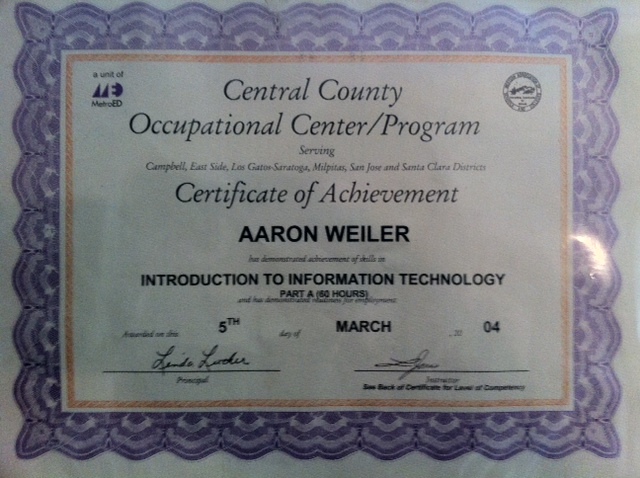 Well here at Weiler Computer Consulting, I (Aaron Weiler), can help you with all of those problems and a lot more. It is as simple as downloading a small and secure program that allows me to safely remotely connect to your computer and fix any of your problems you might have by you giving me a password it shows when you run it! All the while saving you time, money and stress! If you are interested, please click the button below and run the program and call (831) 428-6310.
Who Is Weiler Computer Consulting (WCC)? 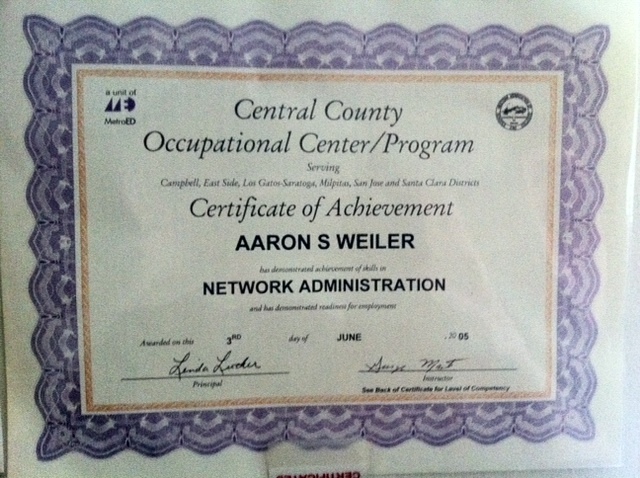 Weiler Computer Consulting is a business comprising of one person, me (Aaron Weiler). I have been working on computers since I was old enough to talk. 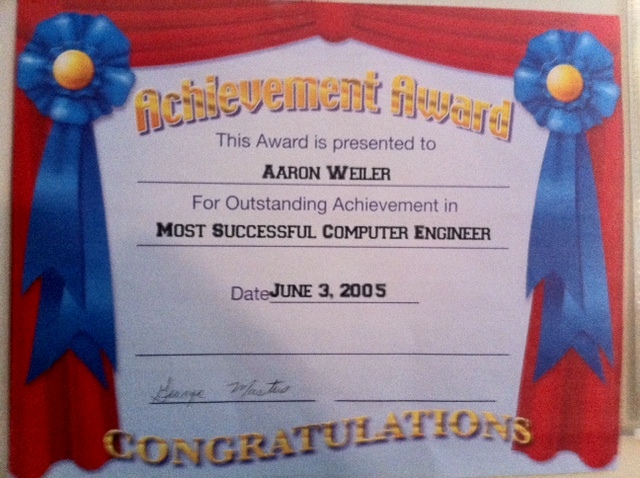 Both of his biological parents had been in the tech industry in their youth so it only made sense Aaron would too. At the age of 12, I knew I wanted to help people deal with the ever increasing need for technology. I wanted to be able to fix the piece of tech for them, but I wanted to be able to teach them how to use it and or fix it. 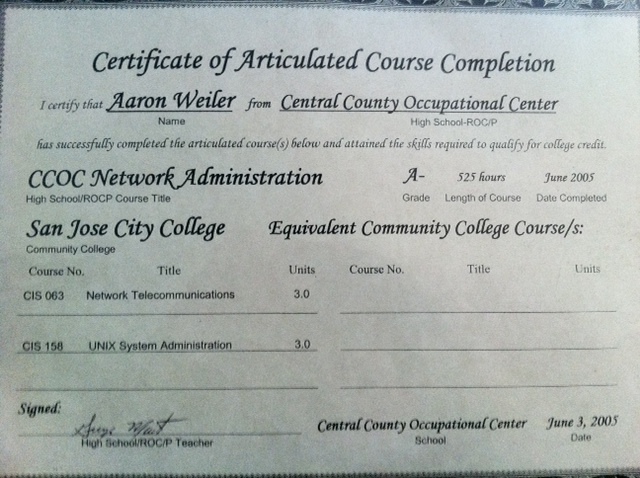 At first I started with finishing getting his HS Diploma and GED at 17 and a half and then went directly in to computer repair + network administration training. After about two years, I had finished those classes and start his business I had been dreaming about for the last 6+ years bt then. In the beginning I worked with a few companies and got some more education while working for a company the trains people to use and manage windows servers. 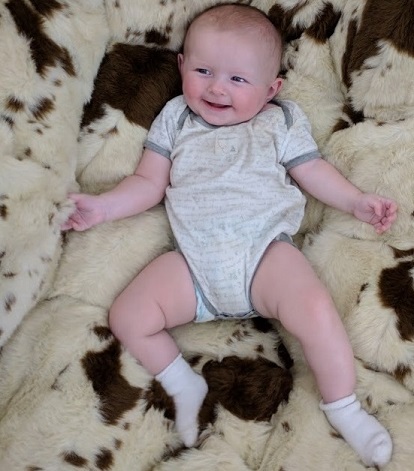 Although in about 6 months time it was clear to him I wanted to put all of his energy in to his business. Fast forwarding through some basic life stuff, here I am 9~ years since I finished his formal training and have been running his business. His main goal for you is to make you happy with everything before I leaves and make you also feel like you got what you paid for and maybe even a bit more. If you ever don't feel that way, tell him and I will do anything I can to fix it. Fill Out The Information Below, Then Click Send.